Justin Sullivan/Getty ImagesGeorge W. Bush. Former President George W. Bush took to the dance floor at his nephew’s wedding this weekend. Video of him dancing went viral on Tuesday. A video of former President George W. Bush dancing at his nephew’s wedding has gone viral on Tuesday. Bush broke out the dance moves this weekend at his nephew Pierce Bush’s wedding to Sarahbeth Melton. 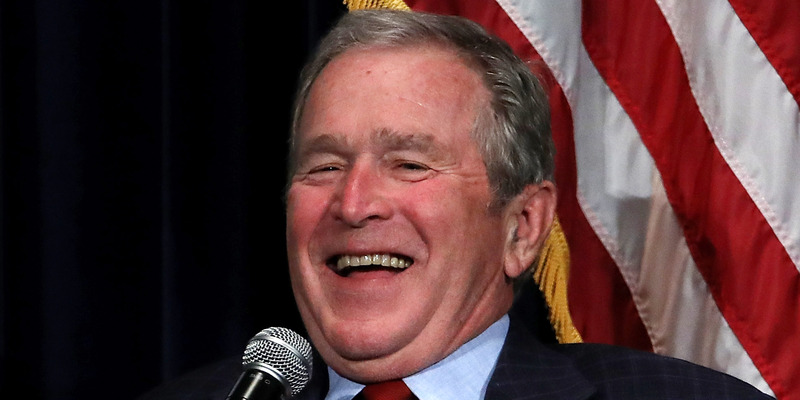 The 32-year-old Bush is Neil Bush’s son and former President George H.W. Bush’s grandson. The second Bush president was filmed busting a move to an ’80s pop hit at the party, as The Daily Mail reported.